It will be a private mission with two paying customers, not NASA astronauts, who approached the company. The passengers are “very serious” about the trip and have already paid a “significant deposit,” according to Musk. The trip around the Moon would take approximately one week: it would skim the surface of the Moon, go further out into deep space, and loop back to Earth, approximately 300,000 to 400,000 miles. 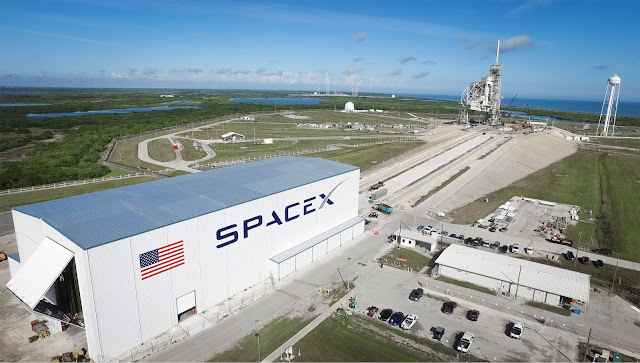 The plan is to do the trip in the second quarter of 2018 on the crew Dragon spacecraft with the Falcon Heavy rocket, which is due to do its maiden launch this summer. Of course, Musk is well-known for his unrealistic deadlines — in 2011, he promised to put people in space in just three years. The two people going on the trip, who weren’t named, already know each other. They will begin initial training for the trip later this year. Musk declined to comment on the exact cost of the trip, but said it was “comparable” or a little more than the cost of a crewed mission to the International Space Station. Musk believes these private missions could be a “significant driver of revenue” for the company and expects to have at least one or two a year, possibly making up 10 percent to 20 percent of SpaceX revenue. The Crew Dragon is an automated vehicle; the system will operate autonomously for most of the flight. If there is an emergency, the passengers will need to probably step in, but “the success rate is quite high,” says Musk. There will be changes to the Crew Dragon’s communication system, mostly to allow deep space communication. The company expects to fly an uncrewed Crew Dragon with Falcon 9 to ISS by the end of this year. There will be another mission six months later with a NASA crew. Six months after that, if all goes as planned, is when the two people would fly around the Moon. SpaceX has already been developing the Crew Dragon to carry people for NASA, as part of the agency's Commercial Crew Program. It's an initiative that tasks two private companies — SpaceX and Boeing — with developing vehicles that can carry people to and from the International Space Station. SpaceX's target date for the first official crewed mission is supposed to take place in 2018. But a recent report from the Government Accountability Office suggested that the company’s vehicles may not be certified until 2019. Musk has tweeted that, despite the report, SpaceX will be ready. If NASA decides they want to do the first lunar mission, NASA would have priority. For its part, SpaceX expects to do more than one Moon mission. Other flight teams have already expressed interest in going on future trips.